Joseph Kieserg was born 23 Apr 1818 in Alsace, Germany and settled in Chicago, IL around 1856. His wife Anna Eva Staat was born in Nassau, Germany on 3 Sep 1832 and died 18 Apr 1891. Joseph died 1 May 1891. Both Joseph and Anna are buried in St. Boniface Cemetery in Chicago. For further details, contact the Chicago Genealogical Society. 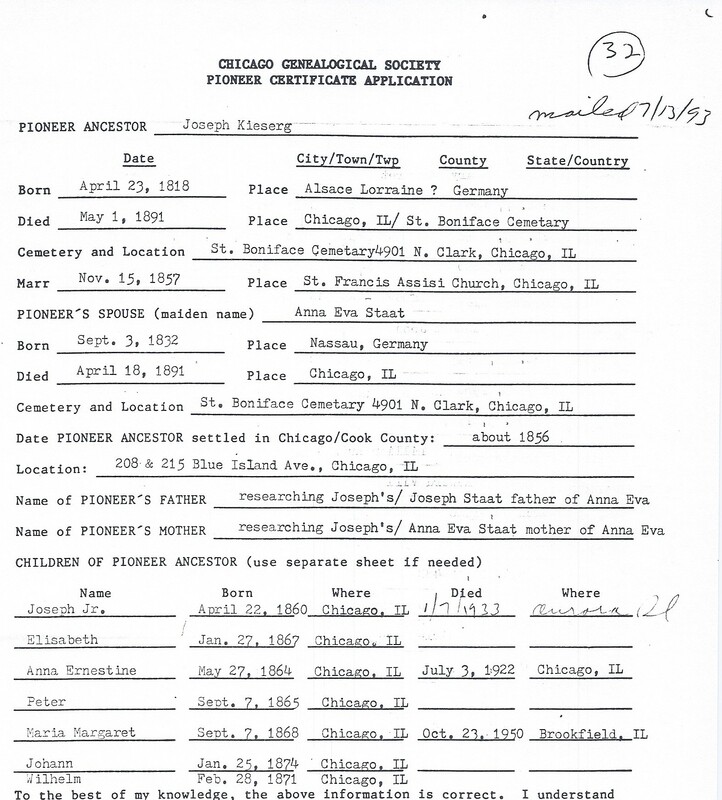 Joseph Kieserg is Pioneer Ancestor number 32 and 56.